With iOS 5 due tomorrow, the third parties are scrambling to get their apps prepped for Apple’s latest mobile operating system. 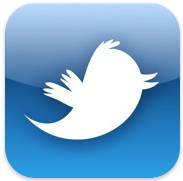 Twitter has just released an update to its popular iPhone app, rendering it officially ready for the imminent takeover of iOS 5. Interestingly, Apple’s iPhone 4S has been receiving somewhat mixed reviews over on none other than Twitter since the announcements last week, with many users mocking the device’s new Siri assistant feature; (although if the hands-on videos are anything to go by, Siri looks the real deal). Due to Twitter’s extended integration with iOS 5, as of this update, you need never enter your credentials more than once. Your Twitter username and password can be essentially blueprinted into your device through the Settings app so that any other Twitter client (or app requiring of your twitter credentials) will automatically be able to login without you having to re-enter your password. All you’ll have to deal with is a little popup through which you confirm or deny access, and you’ll be good to go. At the moment, it appears that Twitter will be the only social app getting native integration of this kind. But once iOS 5 becomes a staple part of each iDevice user’s diet and users have experienced the ease of use such integration brings, you would hope a similar trend will follow for the likes of Facebook and Google as well as others. Ideally, we would eventually be in a position whereby we could enter a username and password for anything, save them within Settings, and then any subsequent apps we use would automatically log in. We’re encouraged to use obscure passwords in order to protect ourselves from online criminal activity, hacking and general online bad guys, but having to continually type credentials in – to an almost patronizing level – is not a particularly enjoyable pastime. I had to log in three times just to write this! But before we get ahead of ourselves, let’s just be grateful that Twitter is setting the benchmark in terms of integration with iOS, and grateful that there’ll be a proper notification system this time around. Roll on tomorrow! You can also follow us on Twitter or join our Facebook fanpage to keep yourself updated on all the latest from Microsoft, Google and Apple.